LYSIS FILMS is Gary Caganoff’s creative vehicle of inquiry into matters of the heart and soul. LYSIS FILMS is the synthesis of life’s experiences expressed in the art of film making. Always focusing on the emotional and contentious issues of the environment and social justice, Gary’s films explore individual and cultural experiences of ‘sense of place’. They are very much grounded in his knowledge and experiences of Ecopsychology, Transpersonal Psychology and Social Ecology. Gary is a pioneer of the single camera operator technique. For 20 years he has made films for some of Australia’s highest profiled environmental organisations, however it is his own productions that have made him known around the world. His film The Second Step on double leg amputee Warren Macdonald, won eight awards at various international film festivals, most notably winning the GRAND PRIZE at the 27th Banff Mountain Film Festival in Canada; the first Australian film ever to win this coveted award. Most recently Gary’s film, The Garden at the End of the World, was honoured globally with a Human Rights Award. 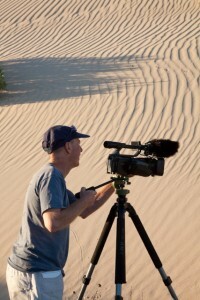 Also, visit www.landscapesofthesoul.com which houses Gary’s collection of sensational landscape photos, stories, and essays from his past 30 years of exploring some of the planet’s wildest places.